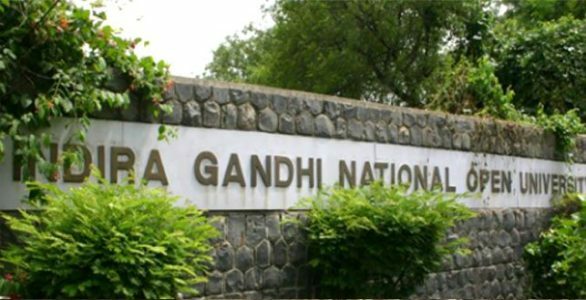 India’s most prestigious The Indira Gandhi National Open University (IGNOU) is soon likely to set up 5000 Digital learning centres across India. The university is contemplating on starting 5,000 special student centres for digital learning which will be governed by the leadership of the regional directors, Vice-Chancellor, IGNOU. The new soon to be launched 5000 digital learning centres of IGNOU will also be located in the rural and the semi rural areas across India while the government of India has already started creating the communication networks for the same. The government has promised to facilitate IGNOU’s proposed 5000 digital learning centres with the broadband network. These digital learning centres of IGNOU will further reconnect with over 10 lakh villages across India to help students access the digital learning. According to the officials of IGNOU, the new digital learning centres will work as an added advantage of the broadband connectivity between the students and teachers. This digital centre will further re-connect and will supply study material to the students located in the remote areas via the broadband connectivity. As of now, the IGNOU and the National e-governance division of the Ministry of Information Technology had signed an MoU to extend their support in the form of e-governance materials completely ready as per the government of India’s, Digital India initiative. Under this scheme, the central government will thrive to offer free internet network nation wide. Apart from this, IGNOU has newly set up their North East Council of IGNOU Regional Centres (NECIRC) to run the educational programmes via distance learning university in the states of the Northeast. The new set up of NECIRC earlier proved out to be a challenging task to execute as there was very poor internet connectivity, which made digital learning almost impossible in the Northeast. Now, with the help of Government of India, NECIRC has revived their service via Gyan Darshan and Swayam Prabha, the initiative of the HRD ministry and can easily access remote areas across the Northeast states. Well, launching 5000 digital learning centres across India will add Laurel to the achievement list of IGNOU and will prove to be a great source of education for the students residing in the remotest of the areas.